Themenbeitrag "Alte Rosen im Waldviertel"
LB = Association "Lost Beauties"
The international meeting at the rose museum was marvellous: The museum is sited at one of the most beautiful places of the world, the roses (some rarities among them) were all in full bloom, Roberto Viti, his family and staff are the most hospitable persons one can imagine, the meals were superb and the lessons very interesting. The museum is cooperating with the International School of Modena concerning water projects, additionally there are exhibitions taking place (we saw wonderful macro fotos of roses, other plants and insects from Paolo Focherini Coizzi for example) and conferences which take place at the impressive and charming museum conference room can be nothing else than successful. 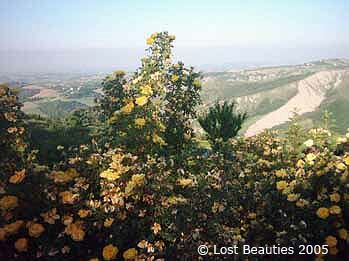 The roses are growing on a mountain ridge in full sun, they are not fertilized, non spray and seldom watered. They are planted deep into the clay soil for getting them own root. There are many, many roses already growing there (a list of them can be ordered at the museum or from me), but there´s space for many, many more. 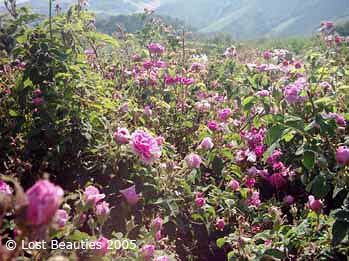 The museum offered a lot of this space for unknown, found and endangered roses but they´re searching for some classical varieties additionally. They´re rooting cuttings with excellent results and whoever would like to send them additional cuttings (or suckers) should get in contact with them! 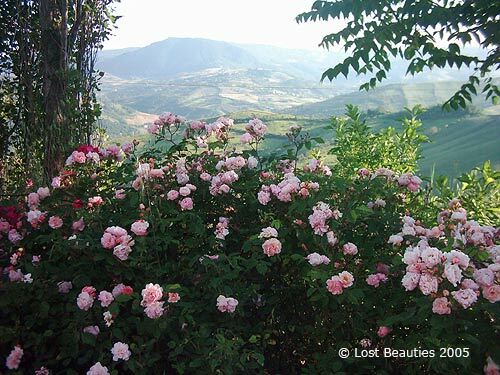 Though many of the roses are not older than three years yet they´re growing and blooming fantastically: Many varieties which are known as having only slight fragrances at Northern Europe and other colder places are smelling breathtaking at the museum. 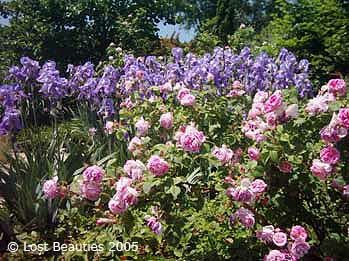 And the blooms of some varieties are much bigger, the shrubs growing much higher than at other climates. 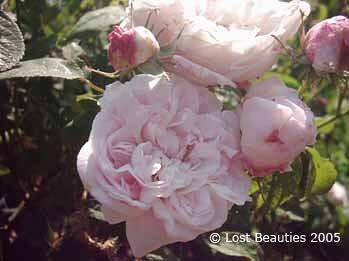 There are a lot of once blooming Old Garden Roses, many of them seldom can be seen elsewhere, but also very rare and interesting varieties of Hybrid Perpetuals, Hybrid Teas, Ramblers and Climbers f.e. The main building is sited on the top of a mountain and it has a wonderfull sight at it is by itself. 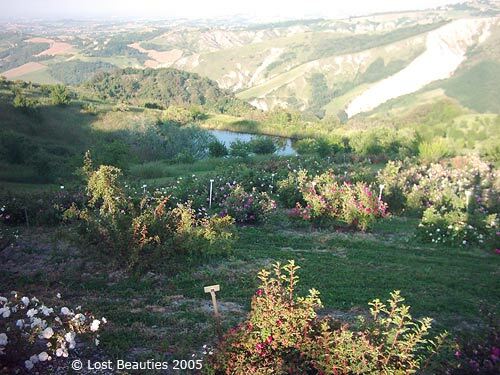 It´s surrounded by fragrant perennials and little ponds and I´ve seldom seen a garden of such beauty. Another project of the museum is “Adotte una rosa”: People can pay or the patronage of a rose and the money is used for social projects. A special wheel-chair had already be bought and people with handicaps now are also able to visit the roses. The next patronages will be used for a path for blind people. 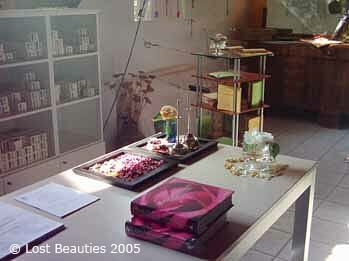 There´s a shop included where visitors can by books, fotos, rose products and beautiful hand made hats and bags for example. 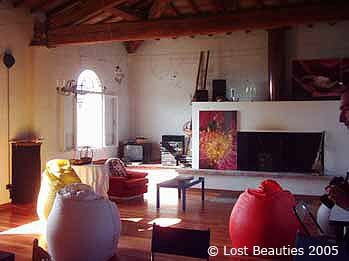 Every detail of the building, the conference room, the bedders and the garden is charming and unique. The atmosphere is really inspiring and the spirit of art and beauty can be felt everywhere. 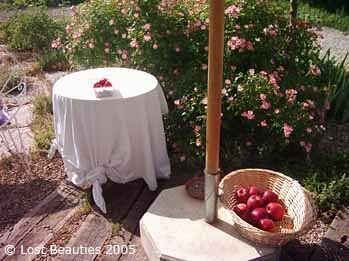 Many of the roses growing there and also the fragrant perennials can be bought at the museum as container plants. So whoever has the possibility of visiting this unique place should not hesitate to plan this trip!